Landscaping your yard is one of the best ways to express yourself and add style and beauty to your surroundings. There are so many great ways to do so, but one of the best – and most versatile – ways is putting up retaining walls. When constructed by a professional masonry firm, retaining walls combine functionality and usefulness with incredible decorating potential. If you are looking for ways to spruce up your landscaping, consider some artfully designed retaining walls. There are so many options when it comes to choosing a design; one of the most popular choices is the concrete retaining wall. Whether it is used to prevent erosion along a hillside, or to create raised planters, concrete retaining walls can be custom designed to your exact specifications. Depending on the overall look you are going for, they might be a suitable option for you. Others find that a block or stone retaining wall works best with their landscaping theme. With a block retaining wall, cinder blocks are filled with concrete and used to form walls. They can be stacked in creative ways to create intriguing patterns, and can add real depth and charm to the overall look of your yard. With stone retaining walls, you select the type and color of stone, and the sky truly is the limit. Additional choices include the keystone retaining wall and the wood retaining wall. Keystone retaining walls involve stones that are expertly fitted together and held in place with pins. These walls can be erected in a stunning array of shapes and sizes, and come in many attractive colors and textures. Sometimes, wood retaining walls just fit in best with your overall theme; they can add a natural, woodsy element to your yard. No matter what style of retaining wall you opt for, and whether its intended to prevent erosion or just to add a little bit of spice to your landscaping, there is sure to be an option that will thrill you. In Marin County, Sonoma County and the San Francisco area, Van Midde and Son is your premier contractor when it comes to retaining walls. Combining over 50 years of experience with unparalleled professionalism and integrity, Van Midde and Son can help you achieve the precise look you want; we do the job right the first time. Give us a call today, and begin enjoying the artful design of spectacular retaining walls tomorrow. Give us a call today at 415-459-2530 or fill out our concrete estimate form to get a free quote on your next concrete project. 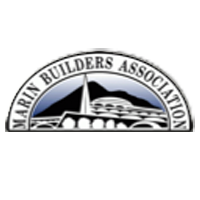 Located in San Rafael, Van Midde and Son Concrete builds retaining walls in Marin County, Sonoma County and throughout the San Francisco Bay Area.